Portable Pi update - new capabilities! I have just got back from a week long drive throughout NSW, I even managed to squeeze in some radio play. Recently as part of a SOTA demo, I pulled the Portable Pi set up out to also show it off. To my horror I discovered the 12v to 5v step down that powers my pi was NOISY - like s5-s7 in the relative radio silence of a SOTA summit. Additionally, there is a quirk of the Samsung Galaxy A Tab forms a central component of the portable kit, it needs a very defined voltage to charge while turned on. 2 birds with one stone! The powerworx Anderson power pole to 2 female USB (3A) - they are SILENT, it's amazing. Below is my 817ND, Raspberry Pi3, USB GPS, ZLP Audio interface, 40w Amp (not used in this project...yet), Light Saver Max Solar & Lithium power pack, SOTA Beams Voice Compressor and the hub of the whole operation is the SOTA Beams Anderson PowerPoles distrobution box. So with the hardware sorted, some new capabilities have been added. HF APRS using FSK on 40m (below was one location packet from the testing location). 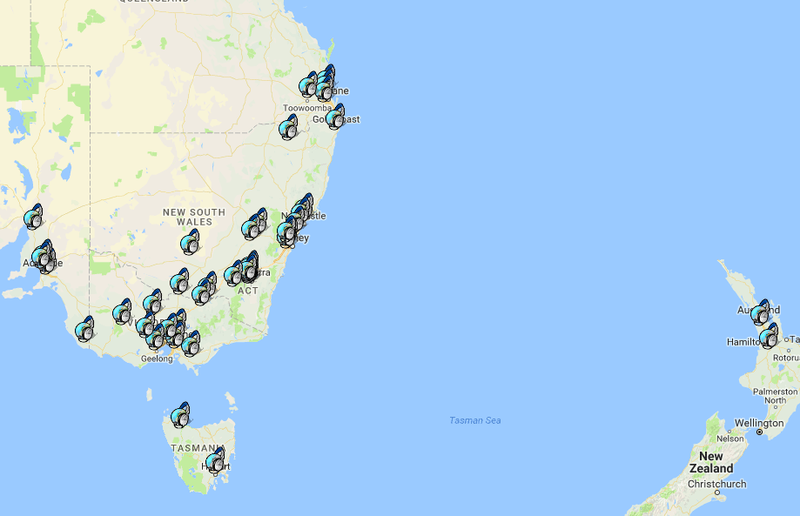 While 30m is the normal HF APRS band, that band is restricted to the highest license level in Australia so there is a small community using 40M here. Also added recently was the super new mode of FT8CALL, the FT8 speed but actual keyboard contacts on HF bands. I managed to have 2 with the West Coast USA as well as Philippines. I spend a lot of time when I am ‘playing radio’ in places that have little to no mobile phone service. This is both a blessing and a curse. It means that it likely means I am in an RF quiet environment from 3-30mhz on HF, however should I want to tell my non radio friends that I am running late but not to worry, or I want to check what repeaters are around me - then I am out of luck. There is a data mode called Automatic Packet Reporting System (APRS) - when it was created it was designed as a ‘intelligence gathering tool’. If you were plonked in another city with only your radio and a Terminal Node Controller (TNC), within 10min or so you could gather all you needed, from repeater information, local radio nets and know how to contact nearby stations in simplex as well as send 2 way short text messages. As time has gone on it has sadly fallen away to mostly be seen as a tracking device, showing where different stations are. Just some of the fun things OTHER THAN TRACKING that I have found out is possible. How do I use APRS when I am portable? I always carry a small Android Tablet with me when I am operating portable for logging or using the raspberry pi for digital modes (http://wadeabout.com/blog/portablepi-a-raspberrypi-for-amateur-radio-portable-opers) so since I am carrying the tablet it makes sense to use APRSDroid app. I connect a tiny match box sized Bluetooth TNC from http://www.mobilinkd.com/ - I have connection cables for all of my radios - my Yaesu FT60R (my primary HT), my back up HT a Baufeng UV5R, and a cable for my FT817ND which all allow connection to the Mobilinkd 2. This allows me to send location data, receive repeater information, and send 2 way text messages. Recently I picked up a 1w APRS Radio with built in thermometer and GPS. Essentially is a fully self contained APRS unit. A look at a recent trip around the suburbs of Canberra. NB I am using an external Mag Mount antenna in the car. A zoomed out view of the stations that either digipeated or igated my 1w packets. Update from my initial testing of using a Raspberry Pi 3 as a portable option for amateur radio digital modes. Shite and will not be used. It is initially installs and looks very promising giving details about the DXCC and the operator once the callsign is entered regardless if you have worked before or not. However each time it is connected to the internet it wants to update its base look up files, not a problem, however once installed it changes the permissions in the underlying database and locks me out. I have managed to get ARDOP working with PAT - however due to propagation I have not actually got a HF Winlink / ARDOP connection to work. There are only 2-3 gateways located in Melbourne (VK3) and Sydney (VK2), depending on the day. I am located smack between them in suburbia (VK1). There are very few VHF gateways in Australia in the order of 2 or 3. The sun was shining so I decided to head down to the local sporting oval to finish off my linked 40/20m EFHW wire antenna using QRPguys EFHW tuner kit that I built last year. I headed off to a local sporting oval to set up a 1/2 wave inverted v for 80m to work the VK QRP contest - the first hour is digital or CW and the second is ssb. This was a good test of the Portable Rasberry Pi used for digital modes. Digital was a little slow with only 2 contacts in the hour on 80m, however SSB seemed to heat up with a 900km contact into VK4. This project might be of interest to some SOTA operators. I wanted to see if I could make a field companion Raspberry Pi for Data modes - I would never lug my laptop into the bush. Well when the Pi is near a wifi network it knows it connects when it is not - say on your favourite summit - it creates a hotspot allowing headless control by any VNC device - tablet, phone etc. This is a live document and will update up until the depature date. When: at this stage, I am looking at around Easter long weekend. 31 March - 01 April. Bands: 40M, 20M, 2M FM. Antennas: HomeBrew 10,15,20,40M linked inverted v dipole, 2m & 70cm Slim Jim rollup, Nagoya NA 771 2m & 70cm whip. Rigs: FT817ND all band all mode 5W QRP & FT60R 5w 2m & 70cm FM HT. Power: 17,000mAh Powerfilm Solar, Light Saver Max, with 27w integrated solar panel, 12v out, 2 USB out. 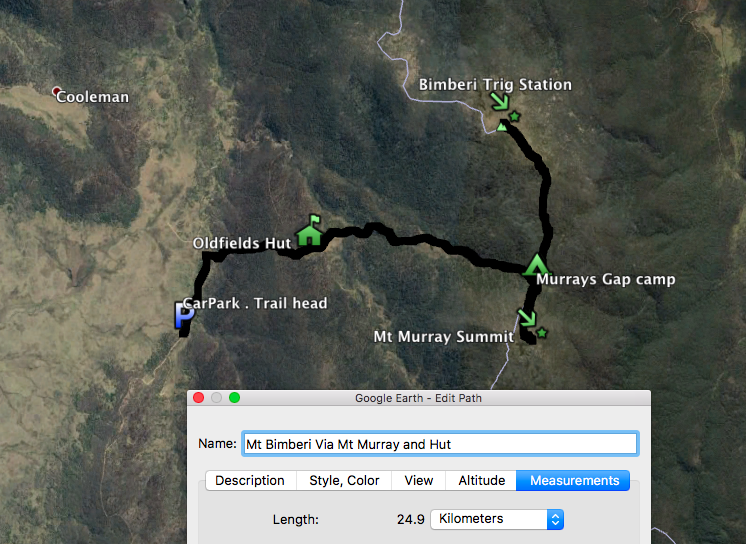 Duration: 3 days, 2 nights, I plan to walk to Murrays Gap, set up base camp and then day hike it to each of the summits. This places me semi close to 3 freshwater streams as well as easy access to trails leading to the summits. Distance: total round trip is 25km over 3 days. Non SOTA Comms Plan:I am working on the assumption of zero mobile phone comms, I will have Optus and Telstra with me. 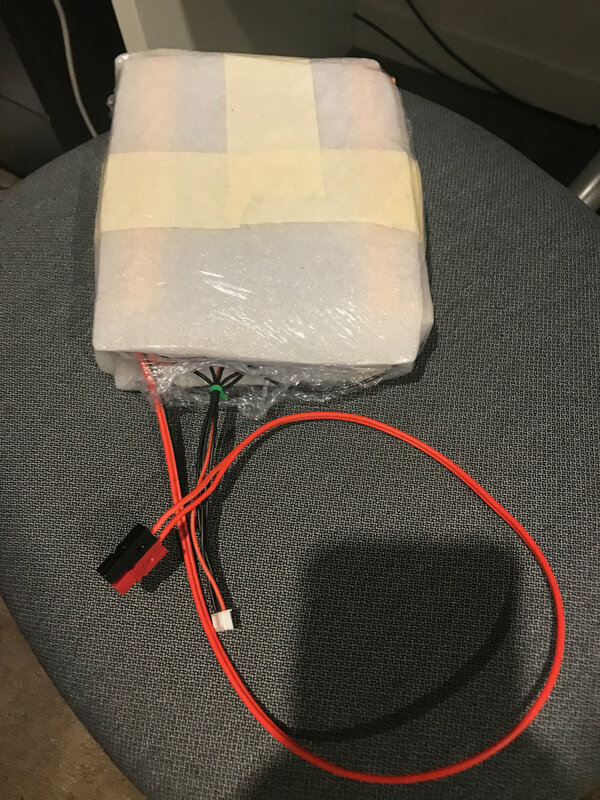 I am thinking I should have ok voice to Mt Ginini 2M Repeater (146.950FM -600khz split, 91.5 CTCSS tone) from the lower valley, additionally, I will have my little APRS TNC (MOBILINKD http://www.mobilinkd.com/) that I can use for APRS spotting APRS messages, and occasionally tracking. Day hike to Mt Murray VK1/AC-003 (1845m) activate, return to base camp, pack up, hike out to carpark, return to Canberra Sunday 01 April. Sort gear, repack and re-weigh everything to trim grams. My home location is nestled in a townhouse complex in Franklin, in Canberra’s northeast. As with all modern urban environments, there is RF Noise everywhere. While I accept I can not control what RF noise my neighbours make, I wanted to take control of my noise which ranged from S9+ to S7 on a quiet day at home. The following are the steps I took that now has my noise floor ranging from zero ( I keep checking that the antenna is connected) to about s2-3 which is my common QTH band. Step one: If it isn't hidden in a wall it was checked with an AM radio - I wandered around the house poking behind TVs, bedside tables, shack / study, garage and laundry. Result: 2 largest noise emitters so far - old xp shack laptop charger (6s points on its own) and then the cumulative powerboard of shite that lives behind the TV made up of about 6 wall warts that power TV, DVD, surround sound etc. Next, I turned everything off at the meter box and worked circuit by circuit running backwards and forwards to my radio to see the noise floor change. Because I have the 817 ready to rig for SOTA or /p work I ran it off the battery and was blown away when I connected it to the wall charger I use to top off the internal battery… s7 alone! Armed with these facts I set about OPERATION RF QUIETING. AKA: ferrite the crap out of everything. I spent about 60 AUD on 3 large high-grade snap-on ferrites from the US, plus about another 20 on smaller ones from Jaycar. The hunt is still not over, with any noise detected on the radio eliciting a ‘WHAT DID YOU JUST TURN ON” shout from the shack to my accommodating XYM, I am pleased to report the answer is always “nothing” meaning it was external to the house. As you can see below (red being Summit to Summit, Blue Chasers) It was rather the day for it, quickly filling my log. In total I made 77 contacts, 41 were Summit to Summit alone. Being the owner of a lovely little 2wd city car can be a little bit limiting in tackling some of the more remote or far-flung VK1 Summits. Andrew VK1AD and Andrew VK1DA (yes, its is confusing doubly) offered a seat in the 4WD on the trip, and I jumped at the chance. 1AD was testing and comparing 2 antennas he had made for 23cm (1200Mhz) operation while 1DA was concentrating on SSB HF contacts, I qualified on 70cm and 2MFM operations. While 2 summits were planned, we were making a good time so another drive up 8 pointers was added to the plan. The second summit required a bit of bush bashing, the drive up nature of the 3rd was a relief. Check out my video from the triple activation. I finally managed to capture it - a voice contact over 8000km - Canberra to Tokyo. Anothe quick evening activation joining the other VK1 activators for a mini qso party. Review: JAAP Bluetooth Wireless Heaphones - long battery life!! 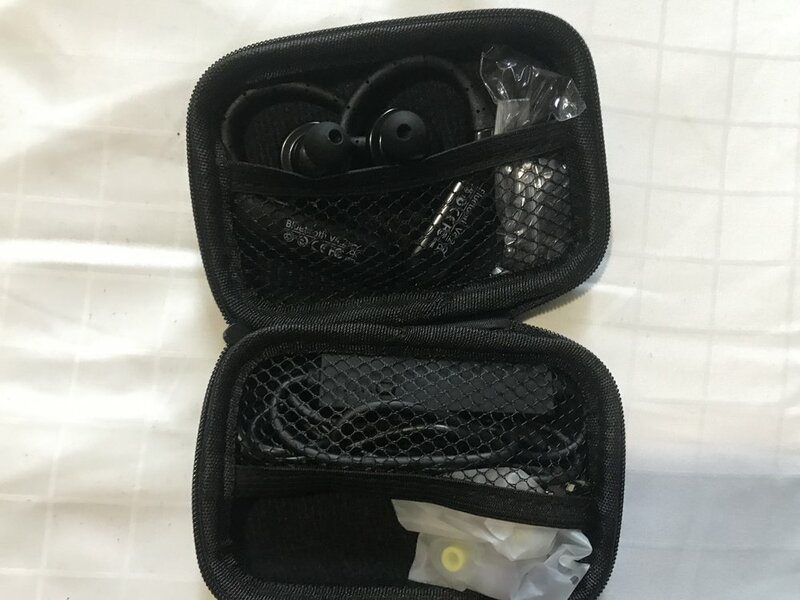 Jaap Sports truly wireless headphones by alpha and delta in Singapore (https://www.alphandelta.com/home-1) even come with their own battery extender that will allow the headphones to continue working for\additional hours - perfect for long flights that I have been recently taking. The JAAPs are a hybrid over ear and in ear design keeps them snuggly in place. Works great with my iPhone 7 plus but issues with my cheap Lenovo tablet, it connected but no sound came out. These headphones are good for music, podcasts and audiobooks but not for watching videos or YouTube on your phone as there is latency issues when watching video, resulting in the audio and video getting out of sync. LONG battery life, especially using the self-contained battery charger/extender that you can drape around your neck, charging while you listen. Can't be used to watch videos due to latency issues when watching a video, resulting in the audio and video getting out of sync. As far back as my PADI Open Water I “struggled” with my mask skills. I simply couldn’t handle the water touching my nose - more correctly I couldn’t handle the water touching my nose with my eyes closed or covered. Whether it was the partial flood, the full flood or the full mask off. I hated it until as little as a month ago - even then hated is not quite showing just how much I was petrified off the mask skills. Fast forward to day one, week 1, of my DiveMaster training, I rolled into our training pool here at the training school to observe a Discover Scuba Diving (DSD) Program. I was offered by one of our instructors to give the demonstration of ‘masking clearing’, the simple every dive requirement of divers to remove water from their mask. It isn’t the clearing that had me white with fear, it was the letting a small amount of water in the mask (thereby touching my face) for the demonstration. What did I do on the spot? I did what all great cowards do - I faked a reason for why I couldn’t. The good ol’ “I have a stomach ache” - believable in rural Asia - no mean feat to explain underwater using hand signs, but it worked. Here I was, on the cusp of being welcomed into the professional ranks of the Scuba Diving family and I can’t get past skill one of Open Water 1 confined dive. For a number of weeks, I fumbled along, either not having to do the skill or doing just enough to get by, all the while the clock was ticking until reaching the DiveMaster Skill Circuit assessment task that requires demonstration quality skills including mask clearing, mask removal and a no mask swim. During the assessments I BARELY passed scoring a 3 (of 5) for each of the mask skills, sure I passed my dive master and was welcomed into the ranks of professional divers, but I felt bothered by the fact I was so weak in the skill. It was not until I read a few professional articles and blogs that outline the dangers of having mask fear. I knew I could overcome this. Logically of the two breathing holes’ in my face, one would be covered in water and one would be have a fully functional air supply, Ijust needed to get in control of choosing which one to use. How, I hear you say.. by making the ‘scary’ every day. On every single safety stop after reading these articles, I was determined to take my mask off. It started off just being off then back on, then off, two breaths, back on then longer etc. The big breakthrough game came when I could open my eyes in the ocean. Sure I don’t have much vision underwater - no one does - but by seeing the body shape of my buddy or my relation to the bottom etc really helps. If I feel the tingle in my nose telling me it feels like breathing in the water - I simply hold my nose for a few seconds. What’s next? Before I leave Indonesia in a month, I am determined to obtain my PADI Self Relient Diver rating that equips me with skills to dive solo, without a buddy. The main assessable skill of this course is 2min with my mask off, swimming a distance of 18m simulating, I believe, a mask failure (including the spare you carry) and the need for you to return directly to the surface slowly. As a newly qualified 40m deep diver, the itch to get deep and explore as yet unseen sites needed to be scratched. The dive shop I am diving with is one of the few that visit the deep part of a particular dive site - Turtle Heave - or Deep Turtle Heaven as we call it. My buddy on the day was an Instructor as well as a Self Reliant Diver - Adrien. As a matter of course Adrien carries 2 dive computers, this is relevant as you will soon see. As time was running out before we hit 'the nonstop required time' (aka 'no deco stop time') neared zero, Adrienand I started a normal rate of ascent, to a shallower depth. As we were ascending, Adrien indicated a ‘deep stop’ was requested by one of his computers at 18m (approx 1/2 of the max depth), I checked the ‘Zoop’, it indicated we were at a depth that would be inconsistent with a 'deep stop' (26m). Thinking he was just indicating ahead of time I maintained his level. This is the first thought I had that the ‘Zoop’ might be indicating different depths than what we actually were at. As we continued our ascent, the ‘Zoop’ read 18m and had not reduced the 'no deco stop time' by enough to keep me out of ‘deco’. This concerned me and I indicated to my Adrien, he returned a quizzical look as his computers were reading 10m, shallow enough to clearly see the boat above including the sign writing on the side! This is the second indication that the ‘Zoop’ was not reading correctly. Upon surfacing after clearing all stop time on Adrien's computers, my ‘Zoop’ was still indicating 8m while at the surface and did not readjust to ‘end the dive’ at the surface. It continued to count the dive even as we were on the surface. Back at the dive shop I showed a number of other professional divers and they indicated it might be a simple low battery issue. However the battery indicator remained near full. After washing the computer in freshwater, reading a depth of approx. 8m. It has remained in dive mode ever since even after a battery replacement from a kit I had with me. I will keep providing updates on the progress of the 'case' of my discussions with Suunto to have the computer repaired. NB - its a dive computer not a watch, it does sooo much more than tell the time. As the Zoop left warranty in early 2017, initially Suunto rejected any attempts to have the computer examined and ultimately repaired by them, however after some 'frank discussions' via Facebook messenger with their customer service team in Norway, the computer is on its way to HongKong for investigation, as it appears the depth sensor failed. To continue diving professionally while the Zoop is being evaluated, I needed a new computer. The Zoop is no longer the current model being replaced by the Zoop Novo, which like the Zoop is a perfectly acceptable dive computer. I like the conservatism of the Suunto decompression table so wanted to stay with their stable of computers. I ended up getting a Suunto D4i - a smaller form factor, watch sized computer which has an easier to navigate menu structure. If/when the Zoop makes it way back to me in fit and working condition, it will move to second fiddle in my collection - which will be vital if I do move on to the 'self reliant' qualification, allowing me to dive alone. A package has just arrived from Suunto, guess what was inside... a brand new Zoop Novo, an updated model of the Zoop to replace my dead Zoop. Thanks for coming to the party Suunto.